Crestwood is a DC neighborhood that is just on the other side of Rock Creek Park from Forest Hills. Blagden Avenue and Broad Branch Road connect us. Many of our Crestwood neighbors depend on these roads to come over to Forest Hills and avail themselves of restaurants and shopping. 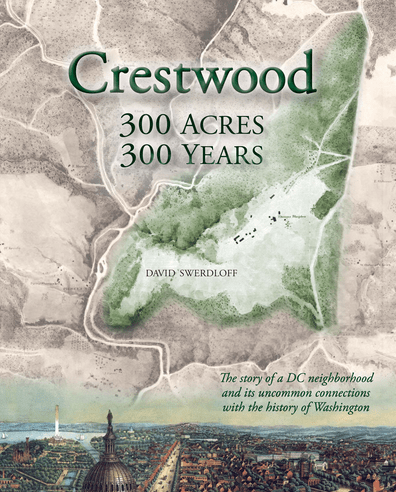 David Swerdloff has written a book titled Crestwood: 300 Acres, 300 Years which includes a good deal of history about Rock Creek Park. For instance, did you know a resort named Crystal Springs stood where the tennis stadium is today? For $20, you can buy the book at Politics and Prose or order it from P&P’s online store. The proceeds benefit the Crestwood Citizens Association.